The flu season that started in China's northern provinces in December is expected to peak with infections in the next few weeks, a health ministry spokesman said Thursday. Ministry of Health spokesman Deng Haihua said despite the expected peak infection levels will not reach that of previous years. One of the reasons is that no variation has occurred to the prevailing flu virus strains, the spokesman said at a regular press conference. He said a total of 360 cases of A/H1N1 flu were reported across China between Dec. 1 and Jan. 6. They included two deaths in Beijing. Citing experts' observations, the official added that A/H1N1 flu has become a seasonal one in the country's northern areas. Between April and December 2012, a total of 45 flu outbreaks were reported across China, with more than 10 flu cases in each outbreak. Of the 45 flu outbreaks, 29 are of A/H3N2, three are type B, and three are A/H1N1. 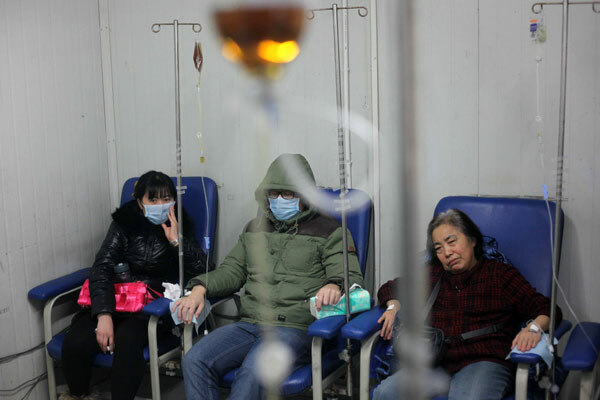 Monitoring and statistics from March onwards showed that in Beijing and Shandong Province, where there was an increase of A/H1N1 flu cases, A/H1N1 has been the predominant strain of flu virus, the spokesman said.